Popular in Reading Corners and Libraries our hedgehog themed double sided bookcase Complete with a hedgehog design feature the bookcase is an attractive, practical addition to pre-school and primary learning space. 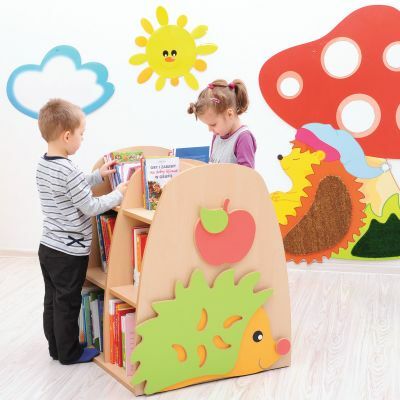 Double sided high capacity book storage helps to keep surfaces free from clutter. 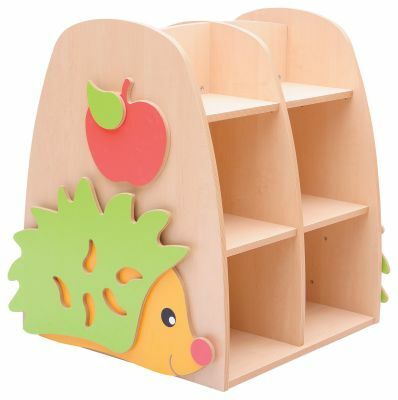 Made from MDF and particle board it is sturdy and can be easily wiped clean. Bottom compartment measures W323 x D336 x H288mm, middle compartment W323 x D298 x H298mm and the top compartment W323 x D230 x H219mm. Suitable for children aged 3-10 years.